Looks like Podfitness, Inc. (“Podfitness”) wasn’t fit enough to continue to battle with the almighty Apple, Inc. (“Apple”) and its famed IPOD trademark. Podfitness was sued by Apple on September 21, 2006, for various trademark related causes of action including registered trademark infringement, federal unfair competition, federal dilution, trade dress infringement, cybersquatting, and related state law claims arising from Podfitness’ use of certain “POD” marks, including PODFITNESS, PODFITNESS.COM & Earbud Logo (pictured below), PODPOCKET, and PODWORKOUT. 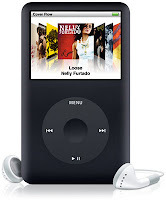 Apple, the creator of the IPOD portable and handheld digital electronic devices, has its own series of “POD” marks including IPOD, IPOD NANO, MADE FOR IPOD & Design, IPOD SOCKS, IPOD HI-FI, and POD. On June 6,2008, the court signed off on a consent judgment and permanent injunction agreed to between the parties whereby Podfitness is enjoined from using its POD marks, which were agreed to be confusingly similar and likely to cause confusion, to cause mistake, or to deceive as to the source of the goods and services by Podfitness, or as to affiliation, connection, association, sponsorship, or approval of such goods and services by Apple as well as likely to dilute the distinctive quality of Apple's IPOD marks. See Apple Inc. v. Podfitness, Inc., Case No. 06-cv-05805 (N.D. Cal. June 6, 2008). A copy of the order can be downloaded here. The consent judgment notably only provides for injunctive relief – no damages are awarded. In essence, it appears that Podfitness was willing to concede the fight, so long as it did not have to pay any damages to Apple. The parties subsequently stipulated to a dismissal of the case with prejudice. And while not specifically mentioned in the judgment (surprisingly), Podfitness will also have to abandon its pending applications for PODFITNESS, PODFITNESS.COM & Earbud Logo, PODPOCKET, and PODWORKOUT – all of which had been opposed by Apple. See Apple Inc. v. Podfitness, Inc., Opposition No. 91173003 (Filed Sept. 20, 2006).